1901 Indian Head cents were struck in abundant numbers and remain common to this day. 1901 pennies are often encountered in mixed-date rolls and bags of Indian Head cents, and they’re easily found in grades ranging from Good-4 to Mint State 63. 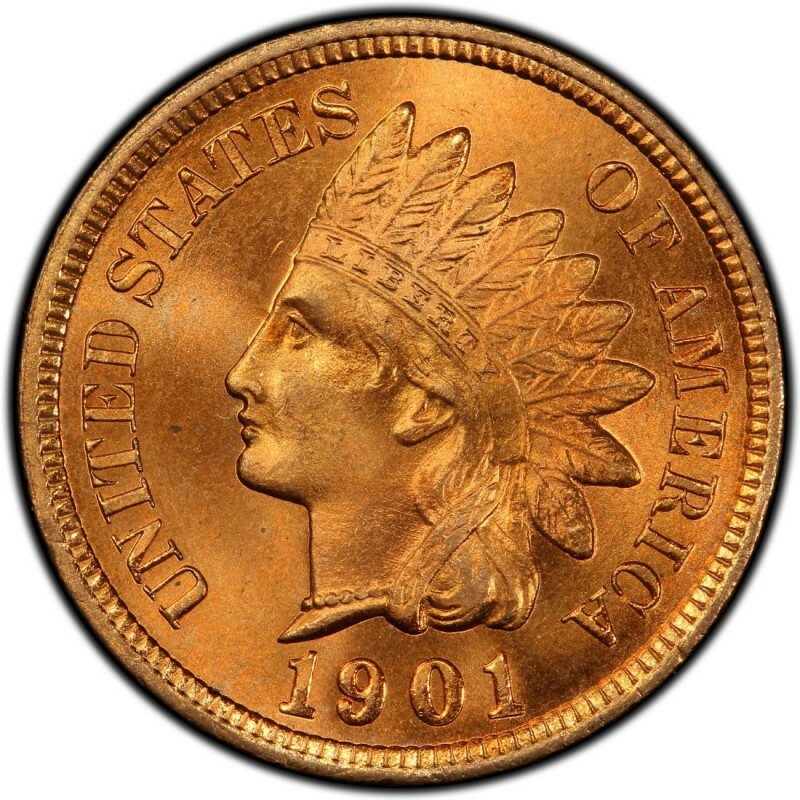 Anyone who’s looking for 1901 Indian Head pennies can find them at nearly any U.S. coin shop. 1901 Indian Head cents were made huge quantities, with 79,609,158 business strikes rolling off the presses that year. Proof specimens were also made, but in much smaller numbers, as just 1,985 struck. Business strikes retail for $1.75 to $2 in a grade of Good-4, and proofs cost $1,275. 1901 pennies are quite affordable for most coin collectors, so you should be able to find wholly original, uncleaned pieces for a price that can suit your budget. James B. Longacre, Chief Engraver at the United States Mint from 1844 until his passing in 1869, designed 1901 Indian Head pennies. Longacre’s daughter, Sarah, served as the model for the figure of Miss Liberty, who is shown on the Indian Head penny in a traditional Native American headdress. 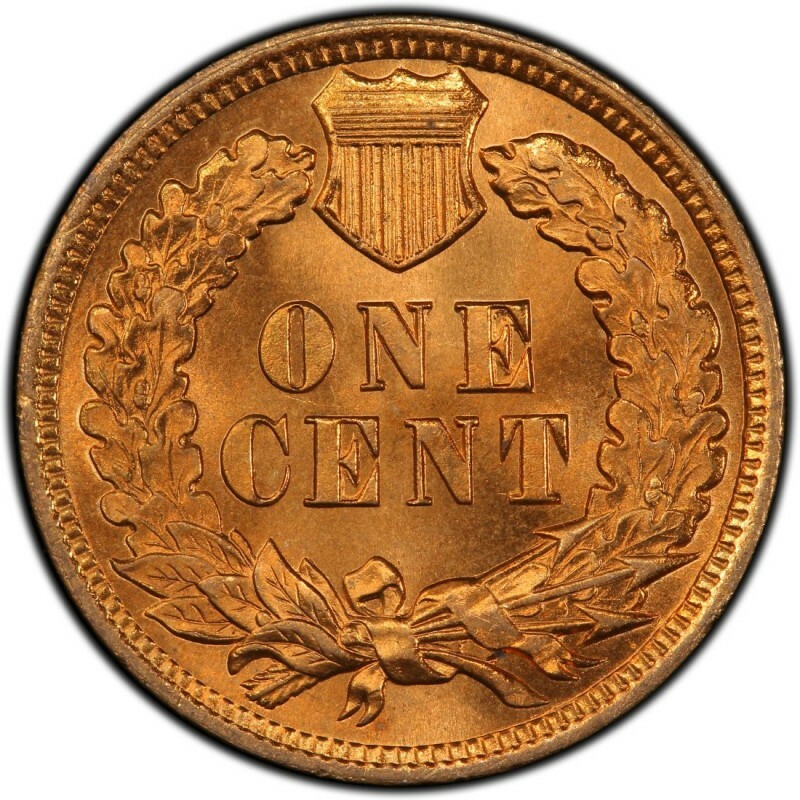 In addition to 1901 pennies, Longacre also designed the two-cent coin, which in 1864 became the first U.S. coin to bear the motto IN GOD WE TRUST.